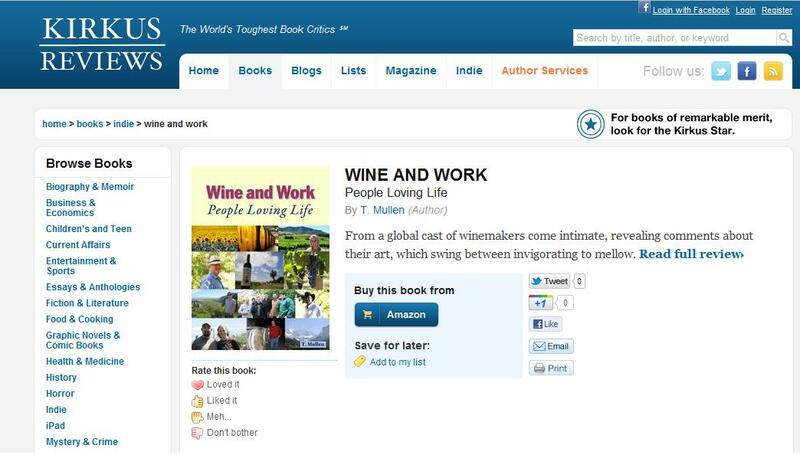 Kirkus Reviews (“The World’s Toughest Book Critics”) positively reviewed Wine and Work – highlighting how the e-book tackles a diverse international topic. Great review. I really enjoyed Wine and Work!